Members have congratulated the Observer on our Don’t Destroy Chichester Harbour campaign, launched last month, and raised a number of points following a meeting at which our March 21 newspaper feature was discussed. 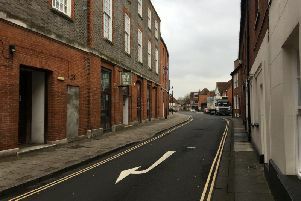 The group feels allocations for new buildings as part of the Chichester Local Plan Review were decided in a seemingly arbitrary way and feels sure all the harbour villages will share similar concerns. In a statement issued by the group, members said there was an apparent lack of local knowledge and a stark contradiction between some of the policies and what the revised plan was actually proposing. The delay in agreeing an improved scheme for the A27 is of particular concern to the group, as it says Fishbourne suffers the maximum impact of the cumulative extra traffic from all the building started or planned for villages to the west along the A259, as well as the 250 new houses which Fishbourne has been allocated. “The group is also worried about the increased air pollution and its potentially fatal consequences and also the misleading data used to calculate the number of additional vehicles resulting from all the new building. Chichester District Council has used national average data, whereas the important data is that relating to actual local usage. We are looking further into this but the evidence so far suggests the local usage is at least three times the national average usage. “As far as Fishbourne is concerned, despite the plan’s assertion that we need growth to revitalise the village, there is no need for growth. The village has expanded by over 30 per cent since 2001, the primary school is full and at peak times, traffic on the A259 stretches back from Fishbourne Roundabout right into the village and drivers on the A27 from Havant experience three-mile queues at the roundabout.